The great thing about physics is that it explains the world around us. The great thing about learning about physics is that there are so many ways to make physics lessons real and tangible to engage students in the learning process. Physics students at Grandview build slingshots to demonstrate projectile motion and learn about Newton’s Laws of Motion by designing, building and racing boats. 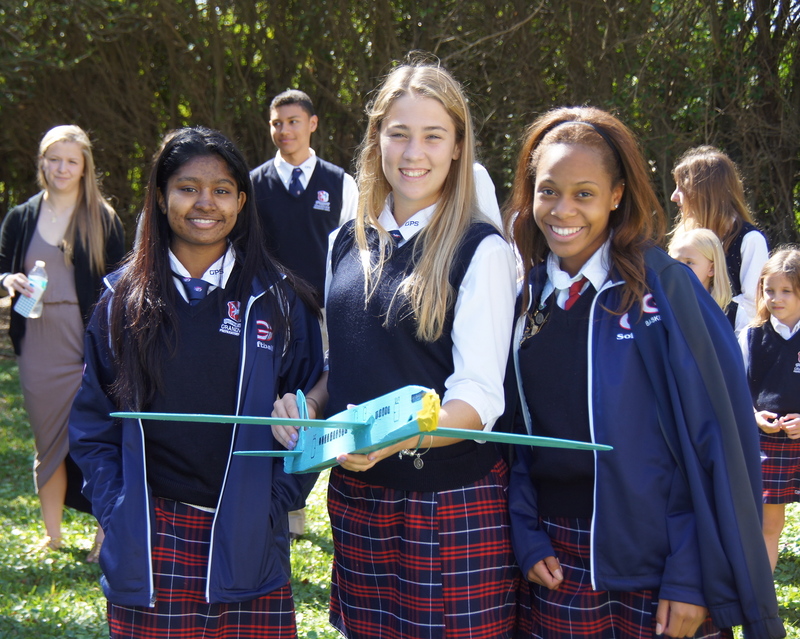 Last month students built balsa wood gliders (on their own– no kits!) in our Makerspace and launched them outside and inside to demonstrate the physics of flight and the laws of thermodynamics. Using the principles of aerodynamic lift, which means that outspread wings that are angled toward oncoming air create a flow of air over the wing, slowing how fast an object falls (due to gravity, of course), students drafted designs for their gliders. Like all good physicists, they knew that their gliders could be affected by how fast the air is rising at any given moment, so their designs had to account for unknown flight conditions. Students show off their balsa wood creation. Ultimately some gliders were quite successful, and some not so much, but all students had an engaging, interactive experience with physics. 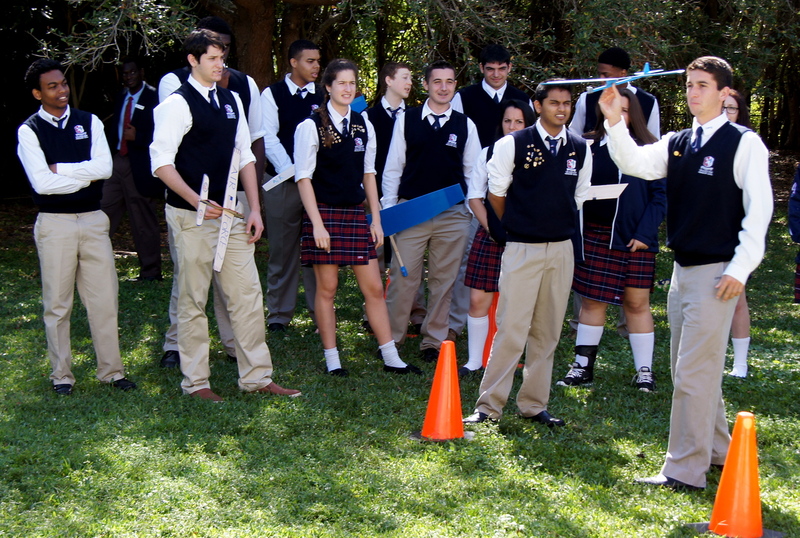 Students test their glider design inside and outside to illustrate the roll that thermodynamics plays in flight. Another way physics classes illustrate aerodynamic lift, flight and thermodynamics is through kites. 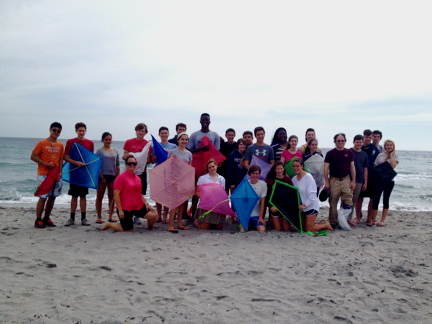 To answer the question, “What makes something fly?”, students design and fly kites at the beach. Kites aren’t only a lesson in physics, however. Geometry teacher Aileen Palmer uses kites to demonstrate the properties of quadrilaterals (you know, four-sided shapes). Students learn about the characteristics of quadrilaterals and apply that information to create a kite out of any material they choose. Then, students take a trip to the beach to fly their kites, doing math problems in the sand to calculate lengths of sides, angles and diagonals. Students design and build kites to apply characteristics of quadrilaterals in geometry. 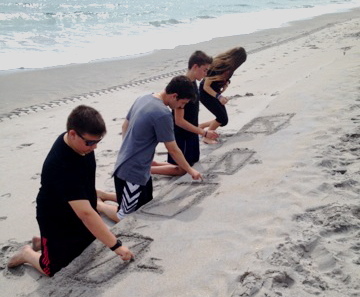 Calculating measurements of quadrilaterals on the beach. As 21st century learners, students need to be engaged. They need to be designing and creating, and they need to be making connections between what they are learning and how the world works. Projects that allow this to happen not only broaden the walls of the classroom and foster deeper understanding, but they also give students the opportunity to practice skills of creativity, critical thinking and collaboration– skills that are essential to their future as learners and as contributing members of society. Tags: 21st Century Learners, Experiential learning, Geometry, Physics. Bookmark the permalink.